I’ve been under the weather and didn’t get a chance to see the preview yet, but I heard there are lots and lots of tears. I am still a bit sick, but I want to give it the old college try and recap these last two episodes! My typing might be a little bit slower, but we are going to get through it! Then I will probably sleep the rest of the day away. I published early, but we won’t actually start until 9am CST! Jin-hyeok and Soohyun walk hand in hand around the mall and talk about what they should do next. SH wants to go to a ski resort or a slide or something like that. They end up going to eat at a nice restaurant. SH looks like she has a lot on her mind. Jinhyeok gives her a gift in a small pink box and tells her to open it. She opens it and asks what it is. he says it is her camera case, he made it. JH – I made it after work in my spare time. It actually came out better than expected. He put her name on the case. JH – Do you like it? JH – Weren’t you about to say something? They keep eating. He smiles brightly, she tries to smile back. Later on, SH sits at her makeup desk in her room and sighs. Jin-hyeok sits on his couch with his camera and thinks about Soohyun. VO – Since they are taking pictures of us, I want to be pretty. Lots of flashbacks from yesterday when they went on their date. Tons of happy memories for Jinhyeok. Jin-hyeok gets a text with his photo and Soo-hyun. His friend tells him good job, you are good at dating. JH smiles. He looks at the photo and thinks that SH is prettier than ever. The Next ay, Cha Jonghyun gives a press conference. He says that he got money from Chaebols for his senator race. he is going to explain it all and ask for the right punishment. Hopefully all the wrong things will be corrected. Soohyun watches this, worried, and remembers her father telling her not to worry about him. In the advertisement office, the team talks about TaeKyung giving CEO’s dad money. They figure out that that is why the CEO married the Taekyung group. Jinhyeok thinks about his conversation with SH’s appa. He asked him to take care of Soohyun and be a nice wall for her. Sunjoo and Nam also talk about this, they think that something was wrong, that is why he went to the memorial. His party people didn’t even know about it. But without any evidence, it will only hurt Senator Cha. They don’t understand why he did this, it drives him crazy. Meanwhile, Miok sits and home thinking and worried. Senator Cha told her that he wanted her to testify that she got money illegally from TaeKyung Group. He is going to tell people that he knew where the source of the money was. You will have a very small sentence. You can travel, people will give you a hard time here. Miok says that she doesn’t want to. But Appa says that they have to do it. SH cannot be dragged by Taekyung for her entire life. In the present, Miok says that Cha is finally finishing everything. Wooseok is driving. Cha soohyun calls him. He hangs up.But he goes to her office and asks if she is inside. MJ tells him that Cha doesn’t want to make any appointments today. WS asks if she eats. MJ says that she is taking care of her. WS leaves but says he will be back. HJ has a flashback where she threatened the senator with a lot of evidence. She calls Miok. Miok does not pick up. HJ looks at the chess board. JH sits at his desk thinking. It looks like he wants to text something, but doesn’t. SH is also thinking at her desk.She looks at her phone, it is 21:00. Nam calls and tells her that appa is leaving the prosecutors office. He will take him home so you can rest. SH heads out. JH is able to follow her and tells her to give him her keys. He drives her home and tells her that she can take a nap, he will wake her up when they get there. She asks if he would like tea…he says she needs to rest….she says that she needs to tell him something. They go have tea. JH says that he waited for her today and mentioned that she worries about her father a lot. SH says she does not know what to do. He says she should eat well and take care of herself, though his advice is pretty cliche. She says it is okay, thank you for worrying. He is all like, don’t mention it, would you like cake? SH – Jin-hyeok…maybe we should break up. I thought about it for a long time. Lets break up. It is not your fault, it is not like our love is not good enough. JH – What are you talking about? SH – Some love is good until now. Help me so I can live my life with this good memory with you. JH – Why live with a memory? We can make memories together. I still have a lot I want to do together and want to do for you. SH – Because we are the only happy ones. JH – Soo-hyun, all the times I met you are miracles. This miracle is a memory like a gift. I dont want to break it. JH – Your abonim’s situation is difficult, I understand. I am mad that I cannot help, but I have to protect you next to you. I promised. SH – You said you care about me a lot right? I also care about you a lot. So, that is why I want to quit here. My appa thing will go in the right direction. It is not difficult, I am not afraid. JH – *tears* But why? Why are you abandoning me? SH – I can’t abandon you, I am letting you go. I am sorry. Bye. She gets up to leave. He stands up right away and holds her hand. She looks at it and then looks at him. She tries to let go, but he is grabbing on tightly. She is finally able to slip away and leave. He tries to walk home in a daze. But he stops and turns around. Then he turns back in his direction and takes off running. SH is at home ignoring all calls. JH calls her over and over again. JH walks with his cell in his hands as if he will drop it at any moment. He looks at it one more time and thinks of calling. But he stops himself and keeps walking. SH keeps sitting at home. She takes off her promise ring. One of the paintings is of a lonely guy sitting on the beach. Appa asks Umma where Jin-hyeok is. Umma says he is awake but he isnt waking up. She is not sure if he is sick or not. Appa calls him, he comes out. Appa tells him that he does not look good. JH tells Umma that he will go to work right away, no breakfast for him. The news says that the prosecutors re searhing TaeKyung Group now. They are not sure if they will get a testimony from HJ. Soo-hyun calls her dad and tells him not to ski his meals and take his medicine. Appa says he knows. SH asks how Mom is. He says she is resting. SH thanks them for being courageous. I know how much you care about me. They hang up and Soohyun looks at the little tree that JH got her. Meanwhile, TKGroup talks about the situation with the lawyers. They ask about evidence thta might come out and what about MO. HJ is not worried about MO. At work, JH thinks about getting dumped. SH said she is not dumping him, she is letting him go. He sighs. HI sees him and tells him that they should go, its time for the meeting. SJ tells them that the mood is strange in the company, even so, lets still do a good job for the company anniversary. Hangil asks JH if he is sick, other people say the same thing. SJ tells him that he should go home early today. JH tells his dad that he will stop by the store. At the store, appa and JH talk. Appa takes medicine that SH gave him and tells JH that they should go to the sauna. But JH doens’t want to. He just wants to go sleep. Appa tells him that he shuold be strong. His CEO should be having a hard time now. JH says that he is fine, he just didn’t sleep enough. Appa tells him to go rest. JH gets home, Umma is surprised to see him. She wonders if he is sick. JH says that he had medicine, don’t worry. Then he goes to his room. Umma looks worried. At work, SJ talks to SH about work and founders day. Then SJ tells her that she sent JH home early today. He said he is okay, but he looks super sick. SH looks a bit concerned. At the snail bar, Daechan and JM talk about subway and eating and silly things like that. JM wants to save up money to give to JH since he paid for everything to cover up his situation. They keep joking. Appa calls and talks about Jinhyeok. He wants JM to check on him. JM calls JH. JH answers and sounds sick. But he says he is not sick. JM asks if he wants him to go home? JH says he doesnt have to. He will rest and then go to the bar. JH hangs up and thinks about SH as he looks at all his keepsakes from her. VO – All the time I spent with you was a miracle this miracle, a memory like a present. I don’t want to break it. Elsewhere, Mijin takes bakery things to SH to cheer her up. She tells her to eat a lot of sweets to bring up her mood. They talk about her father being brave. Mijin does most of the talking about the situation. SH thinks this is all because of her. Mijin is 100% on SH’s side and thinks JH’s umma was out of line. She wants to cheer her up. But she tells her to eat some more. SH says she will go to Cuba after her appas situation is taken care of. She also tells Mijin that she can take one year off, but she can’t quit. Mijin says, okay, I will spend one year off and relax with you in Cuba. At the snail bar, HI and JM asks JH if he needs to go to the hospital. He says he is okay. They say that they will vote on the most popular employees from each hotel. JH is the front runner in the Seoul branch. JH smiles. HI wonders about his energy levels. JH says he is just getting sick. They all feel like something is wrong. JH leaves, JM runs out to give him something (cold medicine?). JH thanks him but JM says that is so corny and runs off. JH looks at the medicine and then walks home. Appa and Umma sit at the table at home. Umma tells Appa that she made them separate. She says that this is all because of me. Appa thinks they have to support them, why did you do that? Umma says that she does not regret it, it will be quieter when time passes. They should not progress. In time it will be a vague memory. Appa wonders if she really thinks JH can live like that. Don’t you know your son? Umma says yes, what if they broke up later? JH would be the only one hurt. Even though we dont have much, I want to live happily. Appa tells her about selling fruit on the streets when JH was 7. He took care of his brother. He did that all for his parents. But yuo canot go through a difficult time for him? Umma explains that she can, of course, but in this situation only JH will be hurt. It is obvious. Appa tells her that she made a big mistake this time. Umma knows that the CEOs heart is broken, she will take on all the responsibility. She cries. JH listens to this all from the door then turns around and leaves. He walks away in a daze. But then he starts thinking about SH tellings him that they are the only ones happy. She cares about him a lot, that is why she wanted to stop there. He calls Soohyeon. No answer. So then he calls Nam. He answers and tells him where the CEO is. JH runs to see her at work. They stare at each other in her office. Then he runs to her and hugs her. JH – Why didn’t you tell me you met my mom? She starts to hug him back, no, she pushes him away. SH – I told you that we should break up, it wasn’t because of that. I decided it. So don’t do this anymore, it will hurt our hearts more. SH – your mother made me orange preserves. It is nothing and very pretty. It is something you can’t buy with money. How can I break that? I can’t do it. SH – My family, when we eat dinner together, it is in the newspaper. I just ate ramen with you, it was a huge issue. You remember that. Our family is this noisy. Do you think I a a good fit to this very pretty and simple orange preserves? JH – *tears* Do you think I love you because you are Donghwa hotel CEO? I started to like you because of your father? No. Your house is different, but that shouldnt’ be the reason. Love is where different people grow similar to each other. DOn’t do this please. I cant let you leave. SH – Because of me, I am not confident. I don’t think I can see you or your loved ones get hurt/tired. That will be more difficult to me than not seeing you. I am sorry.f I don’t think I can do it. She starts to walk away, he holds her hand. Tears all around. She pulls her hand away and leaves. JH cries uncontrollably in her office. Poor thing. SH looks at the river. JH tries to walk home. VO – Do you think I am a good fit to this simple and pretty orange preservatives? That would be more difficult to me than not seeing you. I am sorry, I can’t do it. I made up my mind, so dont do this anymore. You will hurt more. JH looks lost as he cries on the sidewalk and looks for what direction he can walk in. Then he falls to the ground and cries. Soo-hyeon walks on a bridge along the river. VO – I know you won’t understand me. But after time passes, I hope you understand it. If that does not happen, I am okay. I am okay to be the bad one. JH gets home and slowly walks inside. His mother is sleeping on the couch. He looks at her sleeping for a moment. VO – I will be responsible. I know the CEO’s heart is shredded. I will be responsible for making her suffer. But not for my Jinhyeok-i. He tucks her in and then goes to his room. Umma starts crying on the couch. In his room, JH slowly sits on his bed. Jinhyeok ties his tie in his room. His mother tells him to come eat something. JH looks hesitant. In the living room, appa and umma look worried. Appa knocks on his door, JH opens it smiling. Then he goes to sit and eat breakfast. Elsewhere, Soohyun meets with her mother and talks about an art gallery she found that one person can operate. MO wonders why she is talking about that now? SH thinks it is good for MO to run. MO wonders what is in her mind. Now is not the time tothink of that. SH reminds her that seh used to like paintings. MO does not want to talk about the past. SH remembers that her mother took her to art exhibits and took her to see many paintings, she was very cool before. SH – Do you think I went to the media department? I thought youw ere cool as an announcer, that is why I did it. I watched you everyday on the news. I want you to be a cool person again. Consider running the gallery. MO – The time I spent doing that is past. SH – Let’s start it over Umma, I can help you. MO – Don’t’ you hate me? Why are you doing this much? SH – You are my mom, and I am your daughter. Goodbye, think about it. MO thinks about what SH just said, it reminds MO of what she said about how relationships don’t matter, the value is more important. Use as a useful daughter! MO starts to cry. JH’s appa reads a news article about SH appas situation. Umma comes to the fruit stand to give him food. he tells her to leave it, he will eat it later. he keeps reading the article. Umma says that he can talk bad about her, but she does not want to have poeple with a lot of issues next to Jinhyeok. Appa says they are not issues, it is just her life. Umma tells him to eat. At work, Jinhyeok is in a daze and pretty numb. They tell him that he should take a vacation. Lets eat gomtang, I will buy. They all think they can eat together. But JH says he ate too much breakfast, he wont go. SJ thinks about Soohyeon telling her that she will go to Cuba. SJ thought she didn’t have to. SH wants SJ to remove to a higher position to oversea the hotel. SJ thinks the Cuba thing is going well. In the present, it all clicks for SJ as she looks at JH in his miserable state. In her office, SH meets with WS’s uncle. He asks her if she is having a hard time. But he also says that she doesnt have to explain it to him. He is concerned and says that they got all the shares from Taekyung and WS wants to give them to her. What do you think? She says they can leave it as it is. Uncle – WS was thinking of you. Uncle – were you disappointed? SH – I know you couldnt’ tell me. Uncle – I will tell you everything. Take the shares. Your father and TaeKyung became like this, so suing to get the hotel back does not matter. SH – It is not important to me. Working for DongHwa is important for me. It started from Taekyung, so just keep the shares, they arent mine. Later, SJ brings JH some food and tells him that they should eat together. She brought him juk. While eating, she tells him that their CEO is going to Cuba on a business trip for a long time. It is strange. She will be in Cuba until the hotel project finishes. She shouldn’t leave this hotel though. JH thinks about this later as he looks out the company windows. He touches his ring. SH thinks in her office and looks at the time in Havana. Then Nam comes in. He tells her that her appa ….. it was a difficult decision, you know that? She says she does. He tells her that everyone can’t do that. Start politics, get all the way to that level, and leave. She says yes. Nam thinks that her father is doing this much, so she souldn’t disappoint him. SH says that she is okay, she worries about appa. Nam says that he heard from Mijin, but he also noticed. SH explains that seh is not breaking up due to appa. Nam tells her that her appa met Jinhyeok seperately. I think he met Jinhyeok and asked him to take care of her before he broke that news. How do you think he will feel? Your appa did this so you will be free. VO- I have to protect you and be next to you. So don’t say this. Why are you abandoning me? SH says that she is selfish. Nam tells her that she already endured everything, she is not selfish. SH thinks her mere existence can be a burden for someone. JH sits at the bus stop, thinking. The bus arrives. He misses it. Nam drives around the corner with SH and sees JH sitting at the bus stop. SH does not see him because she is similarly depressed and sad. JH walks home, lonely. But he does not go inside, he goes to see tea ajumma instead. tea ajumma asks if SH is okay after all this news about her father. JH says it is the most difficult time for her, but he cant do anything because she told me to break up. She already broke up with me. She asks about him. He says he will break up with her soon (mentally). She tells him to wait a little bit, you just need more time. JH says that her heart convinced him. He says that he thought he took her out from a castle on a hill. But after hearing what she said, she was trapped in a castle again, next to me. She asks what kind of castle? He says it is a castle of guiltiness. Because of her, everyone is having a hard time. Guilty feelings….if she is trapped there, then what is the meaning of this love? So, I want to let her leave. Tea ajumma holds his hand to comfort him. The next day at work, Jin-hyeok sees Soohyun walking. She walks right past him. He thinks about what SJ told him about how SH is going to Cuba for a long time. They walk away from each other. JH works hard and late into the night. But then we see that he is quitting his position. He is filling out his resignation letter. But he has a hard time typing. He pulls the flyer out from his desk that he hid there. It said congratulations for joining our company. Note: Advertising team, Kim Jin-hyeok, fighting! He thinks about when SH told him why she liked him and other memories of her. She asked him if they can really do this over and over again, he always said that they can and he would protect her. He also remembers telling her that they need to survive with good memories from Cuba to there. He does not finish the resignation letter and stands up determined. He calls the CEO, she does not recieve it. JH walks up the aisle to see SH. She is in he office. He opens the door with passion and stares at her determined. Then he walks to her seriously. ILLUSTRATION: THE TIME RUNS OUT IN THE HOUR GLASS. THE HOUR GLASS DISAPPEARS. THE BOY AND GIRL LOOK AT EAT OTHER. JH – I don’t want to give you a hard time. I just want to drive you comfortably home. JH – Tell him, don’t worry about the CEO too much, whatever he hears is just part of the process. Sorry to hear you’re under the weather, V. Sending lots of hugs and wishes for you to get well speedily. Like everyone else here, I want to see how they end the story of our main characters in tomorrow’s final episode. Though I like the fast-pace story development in this 16-episode drama series, I think we will miss the stories of other supporting characters. I will miss the story of MJ and DB. They are one interesting pair. Their story would most likely be getting a lot more air time were they in another drama. While waiting for recap, I am listening (Eric Nam) – 그 밤 Boyfriend! I love all songs from this series. Thanks for your coming, I am a foreigner and love your English-drama milk most. I love PBK, SHK and all actors.. Thanks for Encounter, the best one in my life! thank you very much for doing this even when you aren’t feeling well. Hope you feel better soon! -and now you are worried??!!! You *@&!;;#:÷;!&!&$,$&?!?!;!&$.$:$%×/!;! Does she think SH is made of stone??!!! &@/×/;$÷\&!.!&&#/=/÷€$€$(!;! I’m just reading recap and already feeling like my heart is going to break. I gotta hole myself up over the weekend to marathon the last 4 episodes with a huge box of tissue….im so devastated! But the silver lining is that SH was honest about her reason for breakup. There was no moronic ‘oh let me fake getting back with my ex-husband so JH will let me go’ BS that we see so often in dramas. Thank goodness for this! Sometimes I love SH, sometime I Don’t!? Me…..as you can see….im in rage mode!! ——you go tell her Appa!!!!! This time, I am definitely reading the recap first. After watching the preview from last week, I don’t think I can handle the emotions in this episode. I think it would be easier if I am mentally prepared once I read it first. Yup, I’m not watching till after tomorrow’s episode, either. Yea I’m going to binge watch ep 14-16. Not watching till it’s done. Heart can’t take the sadness and tears. Me too..still contemplating if im going to watch this episode today or wait for the episode tomorrow then watch them both in one sitting. You’re a star! Thanks for recapping. Get well soon! Best Sad Drama That will make you Cry. Most people don’t want to cry, they run away. I would like to encourage young guy to watch the best scene in Encounter. How can a teenager get more experiance like Jh? Rating is not important enough as people think. Best acting is PBG does. These are the most difficult acting in this valuable drama. Just finished reading the recap. Now I have to wait another 24 hours for the last episode. It’s killing me! I better be a satisfying ending and not one that leaves us hanging. Who thinks they will get back together? Thanks for the recap as usual V. I also think there will be a time jump in this like that one month leap, this time probably a bit longer. I know this one will end on a happy note. I also wants to know about the ending of Memories of Alhambra. I liked it but disliked it at the same time? It reminded me of ending of Fox bride Star!!! Which I’m still pissed about! I didn’t care if we couldn’t see his face but I wanted to see HJ and WJ seeing each other from the distance??? It was a very great show!!! Bad endings are a trend in Kdramaland now. We Totally are in the wrong thread. But I really wanted to see if I was the only one who was screaming no at the end of the show and was like I want one more season which is highly unlikely. I meant to post them over here! I need to post a huge Bing Watch thread with all the posts! Also, I hated the ending. how could they not even show us his face? 1. You are right V, ex husband is really going to give all the shares to SH. 2. JH mom reminds me now of the mom from Something In The Rain….she has as twisted reasoning! 3. I hope Nam enlightened SH when he told her that her dad and JH talked. 4. Way to go to the Appas of this episode! 5. After the tears that this episode brought, the ending wasnt so bad. It looks like he wont let go no matter what. 7. 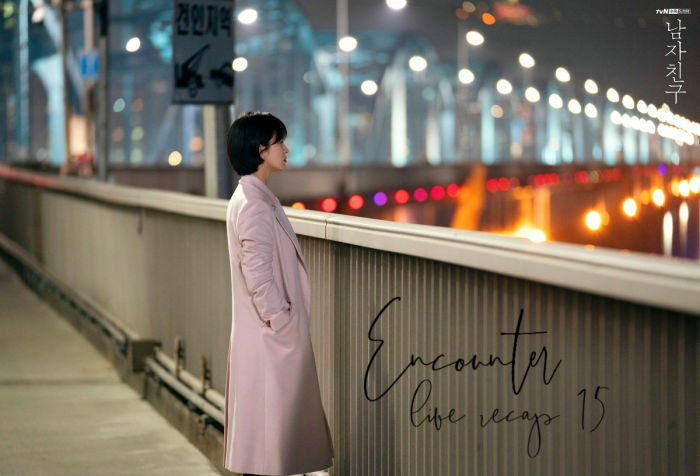 Im still worried about tragedy that can still happen at the end of this drama…..the title “Encounter” is giving me bad juju. Until i dont see the last scene of this drama, i wont feel at ease. V was super right all along about the WS shares, OMG! Reminded me of you all and our earlier speculations. JH Omma is a big roadblock, we were worrying about the wrong mother in the beginning. I really did not expect she’d be that twisted. I also had a feeling that had JH not overheard JH Omma and Appa’s late night convo, JH Omma probably would’ve taken it to her grave that she talked to SH and not tell JH about it. While I really understand why parents resort to such decisions, they really have to understand that it’s not the best way to teach and/or protect the children from the harshness of this world and life itself. So yes, I love JH Appa for his reasonings more than I like JH Omma for her overprotective nature. I agree, Rose. Had it been me, we would’ve moved to Cuba and start our lives fresh there. SH suffered so much already she deserves a life of her own. JH may be family centric but uhm there’s video calling and airplanes and vacation leaves right??? Let’s shoo away the bad juju, Rose. I’m earnestly hoping we will get a satisfying ending! JH’s mom is at least true to form – she’s been clear from the start that she doesn’t approve of Soo Hyun’s type (long before she realized they were together). It seems she’s a traditionalist in a lot of ways: she thinks women should focus on supporting their families, that the peak of contentment is a home and a family, and now it appears that she believes she’s within her rights to intervene in their relationship. I think it’s extremely telling that JH’s mom is mostly looking for signs that this will blow over and she can get back to “normal”. When Jin Hyuk plasters on a smile to eat breakfast, she’s apparently delusional enough to smile with relief. And she’s still quietly needling her husband about the Cha family, and she’s going to KEEP doing that. “I’m right, I’m right, I’m right”. That’s what she’s thinking, and there’s very little that’s going to disrupt her belief that she can just wait this one out unless Jin Hyuk makes one hell of a change. I have no idea what she means about taking on the responsibility for breaking the hearts of Soo Hyun and Jin Hyuk. It seems like she’s just talking psychologically, like she’ll just bear the knowledge alone? Bull. She should have to face some actual repercussions, and I don’t think Jin Hyuk’s going to grin and go along much longer. His father’s right – she really does not understand her son. @MIRANDA, you’re right. I think the only one that can give her a rude awakening is her son JH. Maybe if JH decides to go to Cuba with SH whether with his moms blessing or not will make her realize (in time, coz people dont naturally change their lifes prospective overnight) that she needs to change her outlook in life if she want to keep her sons love and respect to her. I mean there is nothing wrong on keeping tradition in our daily lives, but she needs to also understand that the only constant thing in life is change and tradition will not always coincide with what reality is. That you, V, for taking the time. Hope you feel better soon. I hate sad stories- I will wait for the last episode. If it’s not what I anticipate it to end, I will just let go without watching. It was a happy ending! -if JH and SH decide to move together to Cuba without his moms consent. It will take time for her to accept her sons decission on choosing SH over her. 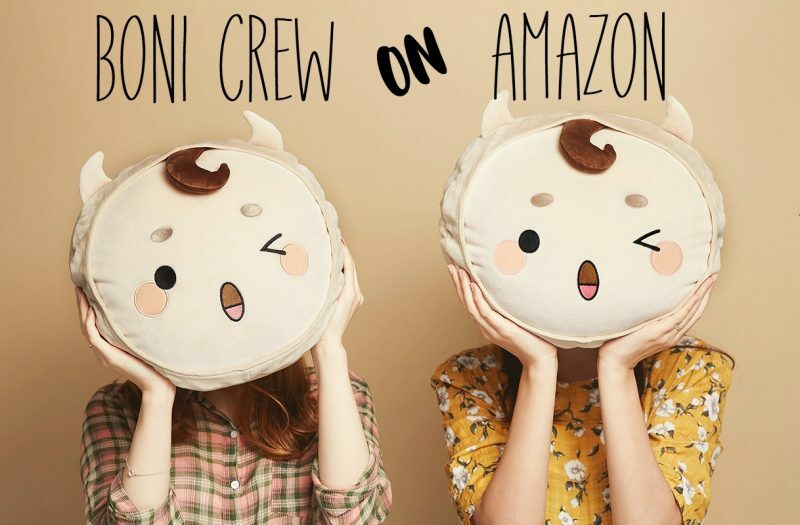 -the relationship of our favorite side couples: Mijin and DC, Susper Nam and SJ. From EP15, Senator Cha played one chase first, he flip the game for dear SH. He is one shot being our Hero. I still love JH from the last scene, he strongly recovered his pain heart by himself and continue to love SH more. Who will play the following Chase? Watching and waiting for the Final Best drama all night long. I think of JH all the time today, I would be lonely that I didn’t continue to watch him in Encounter EP17…more. Why does tvN continue more EP17-20(very effective couple without cry scene)? These drama is not for Korean only, it is for international like other Best Beautiful Love Story in our history. have very good performance in this drama for international memories. I am exciting for watching tonight, Thanks for all long support. Finally I’m proud of watching Encounter, I will present ‘Super’ to my related friends Forever! So happy you are here with us! Its confirmed….There is a time jump….thats all i can say….my lips are sealed…. I heard it’s a happy ending!